As you can imagine, SupercarsandClassics.com keeps an eye out for all upcoming classic car auctions in the UK as well as around the world. So,what auctions are coming up in the next few months? Brightwells has a couple of classic car auctions coming up, one on Wednesday, 24 October in Bicester and the other on 28 November in Leominster. At the Bicester auction there’ll be such offerings as a 1928 Amilcar Riley CGSS Kerr-Bate Special, with an estimate of £70,000 to 90,000, and a 1965 Austin-Healey 3000 MKIII BJ* with an estimate of £37,500 to 42,500. 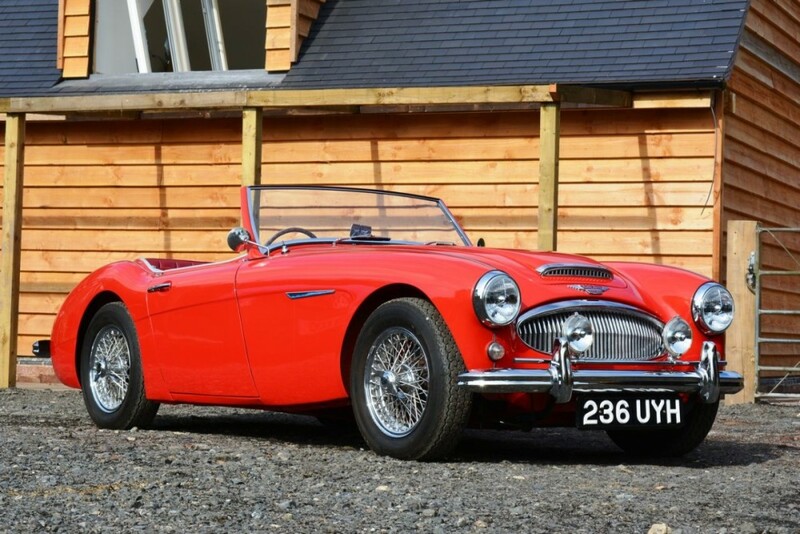 Anglia Car Auctions is holding its next Classic Car Auction on Saturday, 3 November 2018. Their auctions are held on their premises in King’s Lynn. They are still accepting entries for this auction, but there are quite a few lots available for view now on their website ( https://angliacarauctions.co.uk/classic/saturday-3rd-november-2018/). 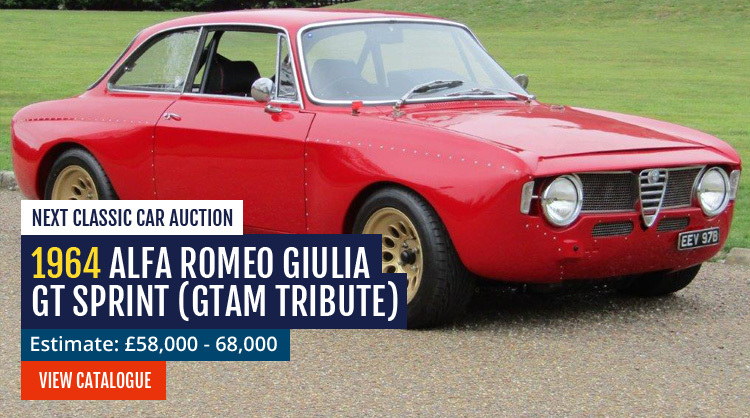 For example, there’s a 1964 Alfa Romeo Giulia GT Sprint, which has an estimate of from £58,000 to 68,000. A 1988 Alfa Romeo Spider S3 Quadrifoglio has an estimate of between £4,000-6,000. There’s a beautiful 1949 Alvis TA14 DHC on offer with an estimate of £12,000 to 15,000. There’s also a gorgeous 1953 silver Bentley R-type saloon with an estimate of £20,000 to 24,000. But that’s not all the delights this auction has to offer, so take a look at their website. Before November! 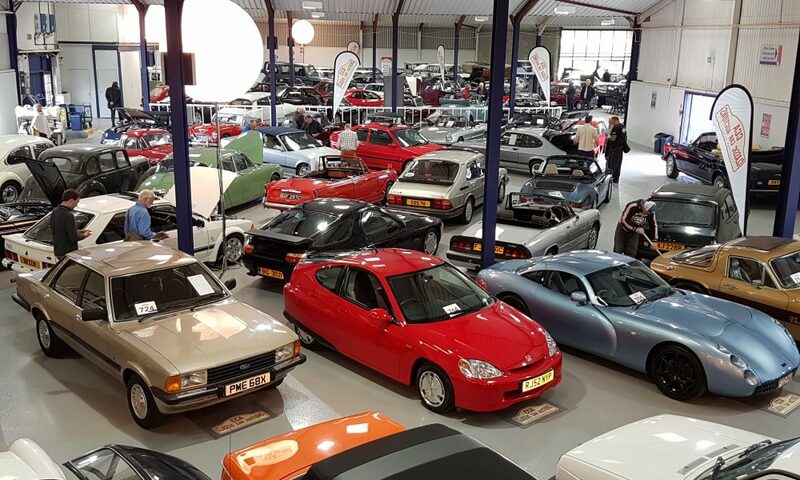 Classic Car Auctions is holding their next auction on 1 December 2018, and are accepting entries for it now. This auction will take place at the Warwickshire Event Centre near Leamington Spa. At the moment the lots on the list include a refreshed 1968 MGC GT, with an estimate of £14,000-18,000, a 1990 Porsche 911 (964) Carrera Cabriolet, with an estimate of £28,000 – 32,000, and a restored 1968 Triumph TR5 with an estimate of between £35,000-40,000. There’s also a rare 1966 Datsun 1600 Sports ‘Fairlady’ on offer, with an estimate of £12,00-15,000.